There’s a new company in the center of Theodosia’s business district. As of yesterday’s merger, Don Smiley has changed from being a real estate owner/broker of Sierra Ozark Corporation to a broker/manager of Century 21 LeMac Realty Ozarks in Theodosia, Missouri. 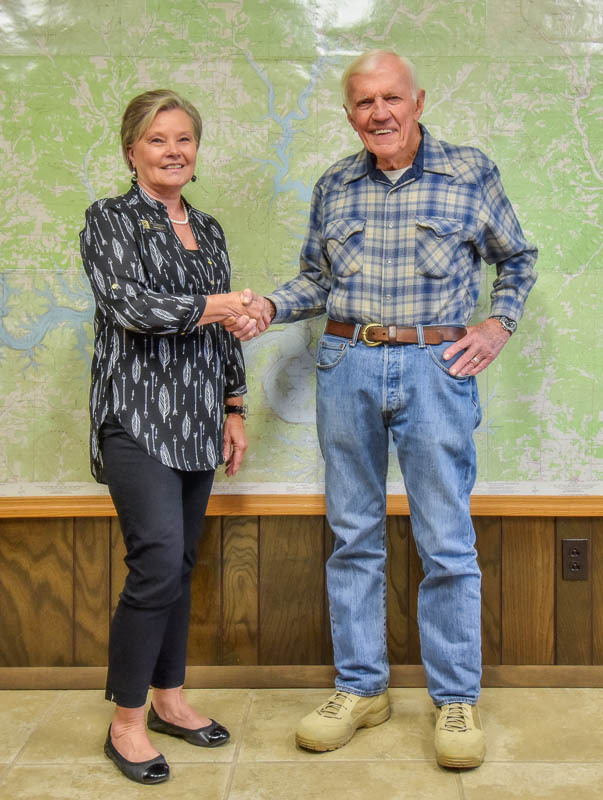 The parent company, Century 21 LeMac Realty, owned and operated by Jewel Pendergrass, is headquartered in nearby Mountain Home, Arkansas, and has two office locations there. Don selected LeMac as his top choice to partner with. Together, these three offices cover both Arkansas and Missouri and together can cooperatively provide a wide range of property choices for interested buyers while giving their own listings maximum exposure to people from all over who want to locate in the Real Ozarks.